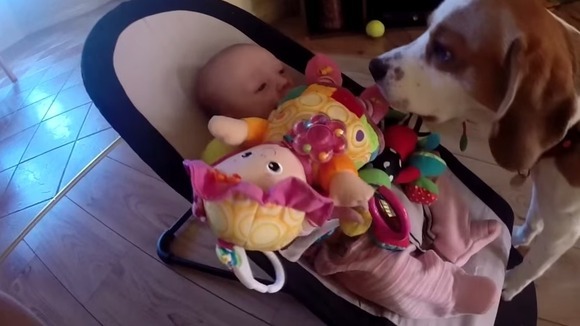 A video of a dog bringing a crying baby gifts after he steals her toy has proved to be a hit on YouTube, gaining over a million views. 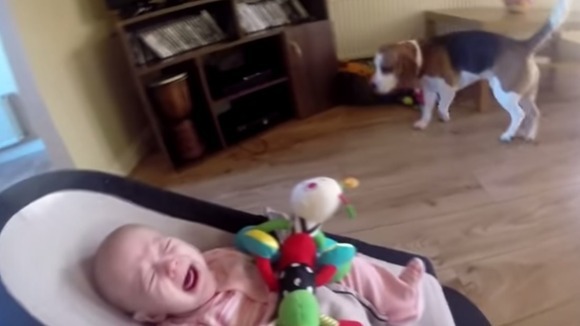 Charlie the beagle appears to feel instantly guilty when her makes baby Laura cry by stealing one of her toys, and proceeds to bring her as many as he can find as a way of saying sorry. 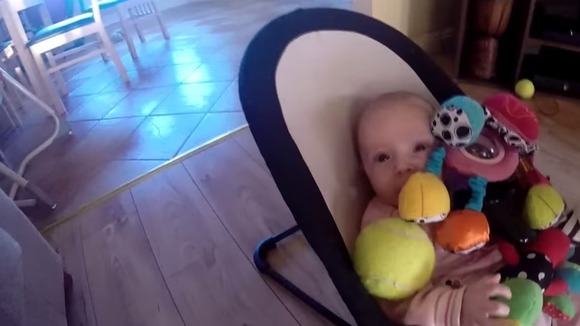 Charlie brings her soft dolls, a tennis ball, and even a Playstation controller to compensate for his actions. Laura’s father who uploaded the clip says the dog and his daughter are still “best friends”. The dog has even had a Facebook page created on his behalf, which has so far attracted over 2,500 likes.